It didn’t fly far, but a takeoff, hover, and landing on Jan. 22 in Manassas, Virginia, showed the world “what revolution looks like,” in the words of Aurora Flight Sciences CEO John Langford. The Passenger Air Vehicle prototype logged its first flight Jan. 22. Photo courtesy of Boeing. Langford’s company, a Boeing subsidiary since 2017, led Boeing’s effort to design and build a “passenger air vehicle” under the Boeing NeXt program, which aims to bring urban air mobility to the masses in the form of on-demand, autonomous air transportation. 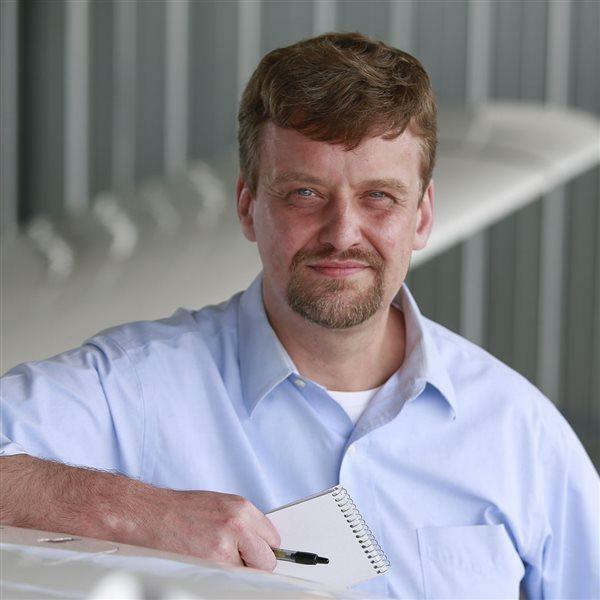 Langford founded Aurora Flight Sciences in 1989, and the firm has been designing and adapting aircraft (including general aviation aircraft) to fly without pilots for many years. Unlike Textron subsidiary Bell and others that are building aircraft aiming to enter urban air taxi service with pilots at least at first, the Boeing concept aims for autonomy from the get-go. Photos of the first flight appear to show a dummy strapped into the seat, standing in for future paying customers who will have no role in piloting the aircraft. “Certifiable autonomy is going to make quiet, clean and safe urban air mobility possible,” Langford said in a Jan. 23 news release. Boeing posted a video of the flight, noting the rapid development of the concept aircraft. Electric motors drive the PAV, which uses a mix of lifting rotors and airfoils to achieve vertical takeoff and landing, and more efficient forward flight supported by wings. The PAV will have a range of up to 50 miles, and is not the only aircraft Boeing is developing for autonomous flight. The NeXt program also includes an unmanned cargo aircraft able to transport up to 500 pounds, among other platforms.